I could not afford to waste much time by locking myself inside a small concrete cubical as the beautiful village and smiles awaited me. 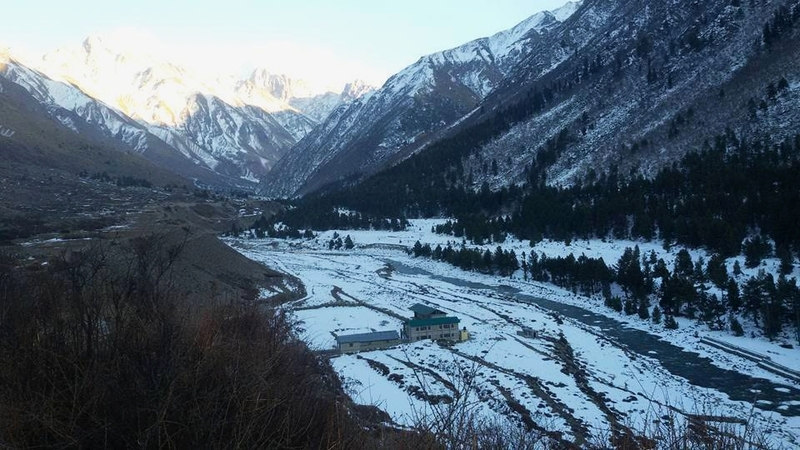 Our thoughts are filled with beautiful pictures of snow, small wood houses and water streams flowing by a reasonably inhabited remote village as soon as we think of Chitkul. The village has charm of its own; this is why it has gradually started gaining ground amongst domestic as well as overseas travelers. Internet is flooded with myriad travel stories and images about this tribal village. But deeper we dive into the infinite world of internet in order to know more about the village, lesser aware we feel. This is what happened to me when I started sifting through images and travelogues of this small hamlet. Finally, I decided to turn off my computer and have a firsthand travel experience of the place. As expected, the village left me spellbound with its cultural and pristine beauty it inherits and preserves to keep its inhabitants and visitors enthralled for not decades but centuries. As I took a turn around a sharp curve revealing a wide and open V-shaped valley to leave me in a state of complete awe, my eyebrows virtually touched my hairline. For a moment I was lost in oblivion and I had to pinch myself to bring myself back to this materialistic world. 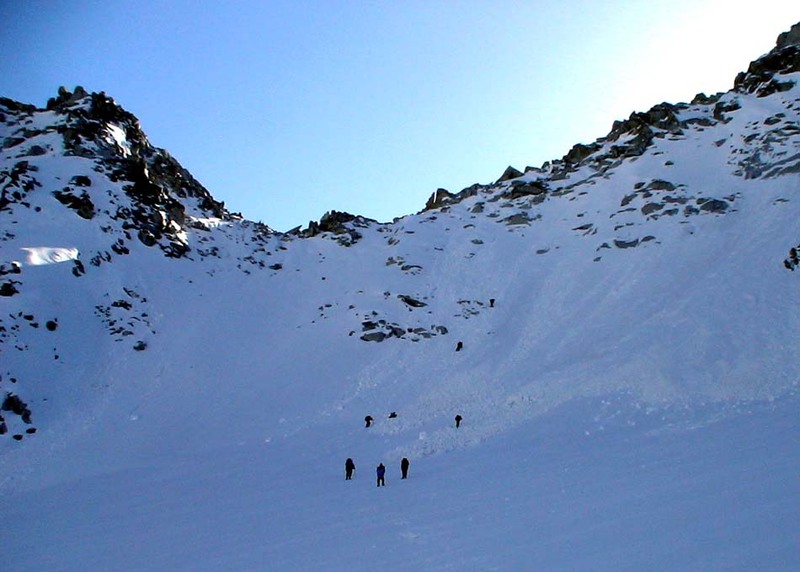 As if this wasn’t enough, Chitkul had lot more in store for me. People with a broad smile on their faces, small wooden houses, a small hoard of sheep grazing in nearby fields, and a well-nourished shepherd dog wagging his tail welcomed and escorted me to the nearest single-floored PWD rest house looked after by an adorable host Rai Singh Negi. I could not afford to waste much time by locking myself inside a small concrete cubical as the beautiful village and smiles awaited me. I took long strides to cross the threshold and started exploring each and every corner of the village to fill my mind and soul with beautiful memories of rural landscape. This is when I started picking few interesting facts during the course of my journey to the land of landscapes and shepherds which I find worth sharing with my fellow travelers. 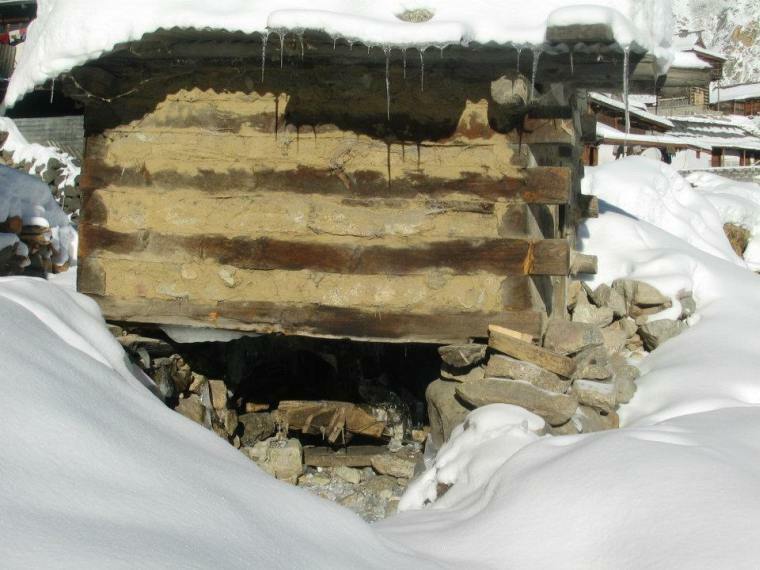 # Chitkul lies just 120 km before the Indo-Tibetan border. 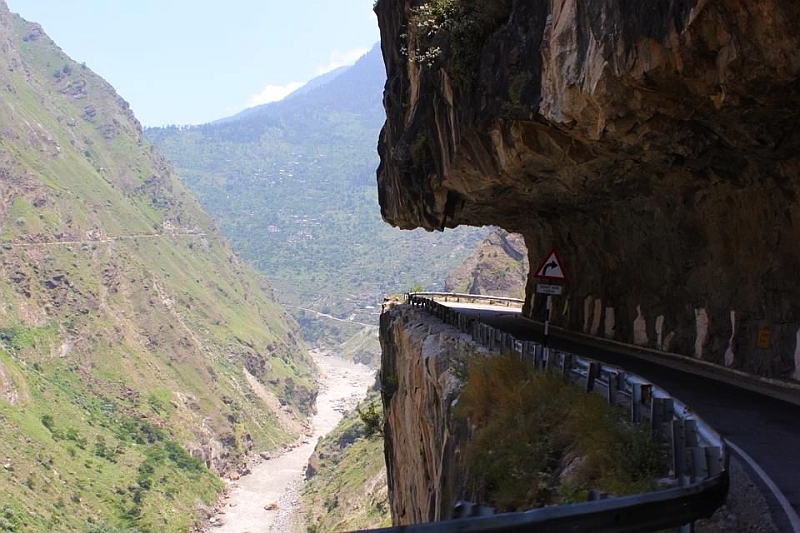 # Uttarakhand border is just 20 km from Chitkul village. 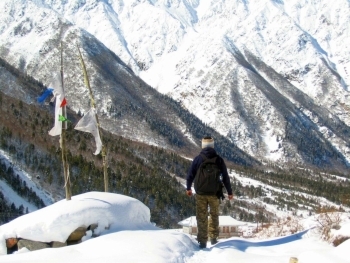 You can walk into Govind Pashu Vihar National Park and Sanctuary of the neighboring state after crossing Borasu Pass, situated at an altitude of 17,880 ft.
# The reasonably inhabited place is home to about 1,000 people, who live in small houses of almost identical shapes with great harmony. # The last ITBP camp toward the Indo-Tibetan border is just 1.5 km from the village. # There is a functional water-powered flourmill in the village. Water powered flourmill frozen to ice. 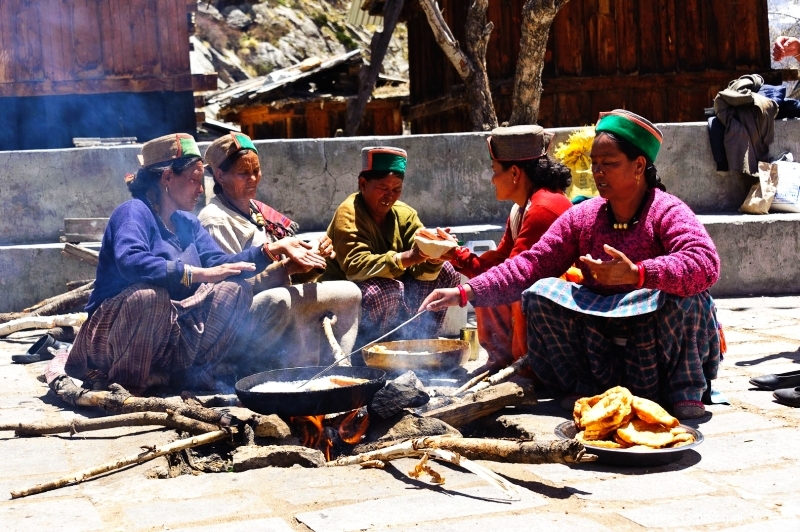 # Chitkul grows quality organic potatoes and peas that fetch almost double the market price. 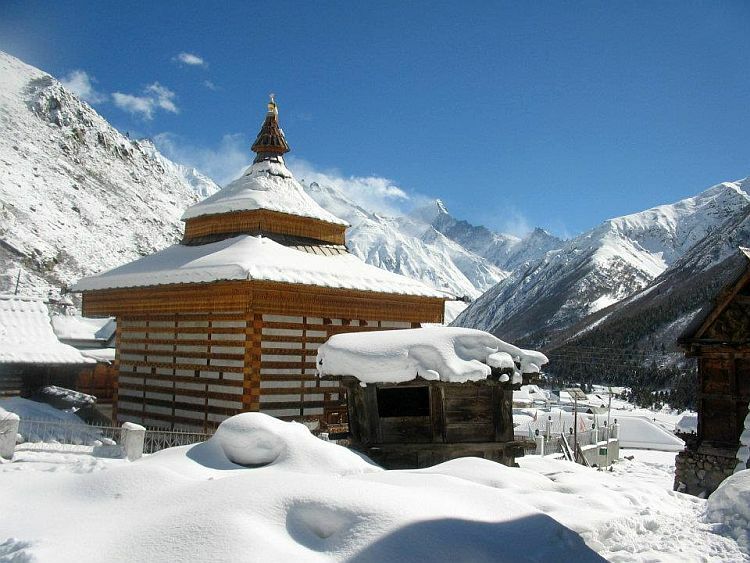 # Chitkul is just 40 km from National Highway 22. 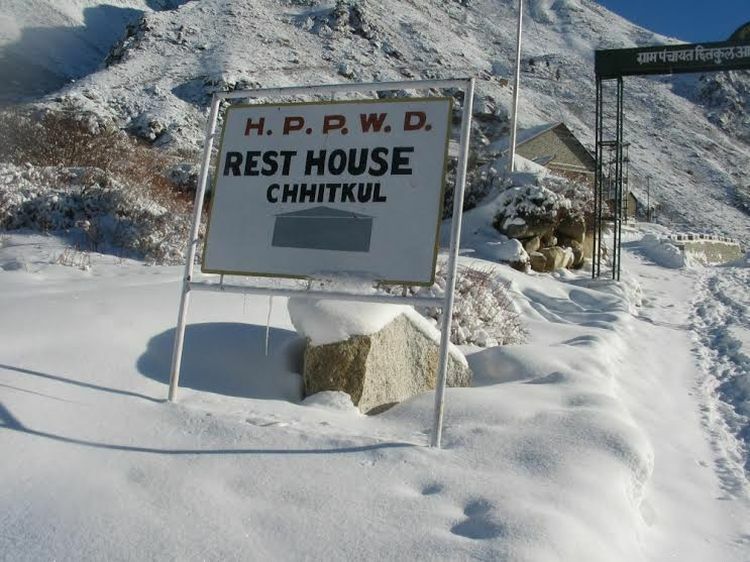 # There is a single-floored PWD rest house at entrance of the village. # Beautiful Mathi temple situated in the middle of the village is about 500 years old. 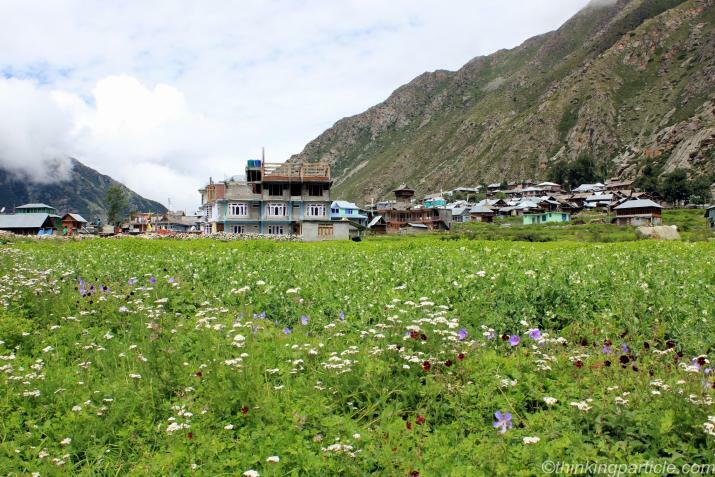 # There is a helipad within walking distance of the village (on the right bank of Baspa River). 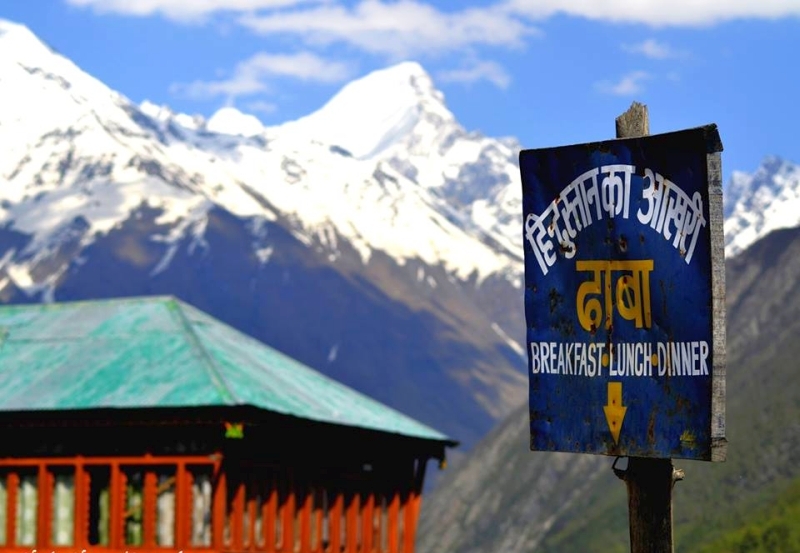 # Sign board with text ‘Hindustan ka Akhri Dhaba’ you have stumbled upon multiple times while Googling for Kinnaur is in Chitkul. 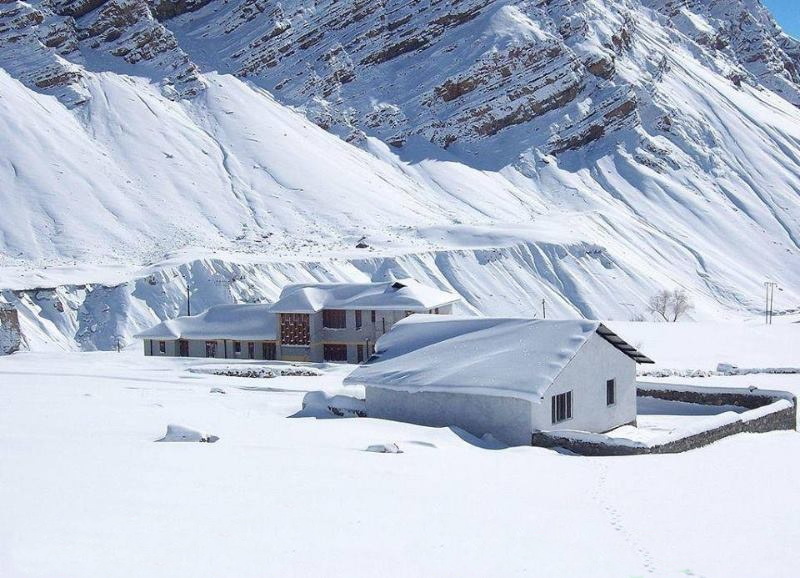 # There is a government high school in Chitkul. That’s all I managed to discover while interacting with local people and walking on narrow trails skirting around the village. I am sure there are still lots of unknown facts and secrets waiting to be unearthed. If you know any, please feel free to share in the comment section below.